Police officer Helen Weeks walks into her local newsagent’s on her way to work. Little does she know that this simple daily ritual will change her life forever. It’s the last place she expects to be met with violence, but as she waits innocently at the till, she comes face to face with a gunman. The crazed hostage-taker is desperate to know what really happened to his beloved son, who died a year before in youth custody. By holding a police officer at gunpoint, he will force the one man who knows more about the case than any other to re-investigate his son’s death. That man is DI Tom Thorne. While Helen fights to stay alive, Thorne uncovers a conspiracy as dark and dangerous as any he has ever encountered. As the shocking truth emerges, the body-count rises and Thorne must race against time if he is to bring a killer to justice and save a young mother’s life. 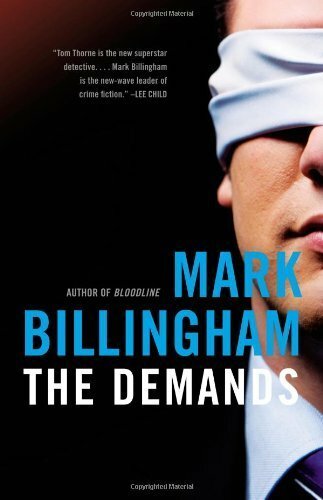 Read reviews of The Demands.